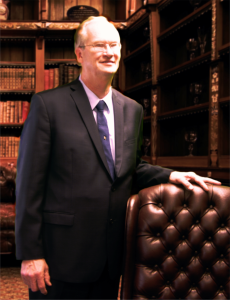 Pastor David Boone was called by God at an early age to teach the scripture to others. As a young man, he faithfully attended church with his family. His parents were very active in the Church Ministries that set the example for the person that Pastor Boone is today. His father served as a Deacon and School Superintendent while his mother was a Pastor and teacher. Listening to great men of God preach created a powerful desire within him to become a Minister. At the young age of seventeen, Pastor Boone accepted the call to preach at a youth camp. After graduating from high school, Pastor Boone attended six years of Bible College and graduated with a B.S. Degree. His formal learning gave him a greater depth and insight of the teachings of Jesus Christ, but nothing had a more significant impact on his life than the early days of Sunday school and church with his family. It was then that he felt the movement of the Holy Spirit in his heart to spread the word of God. Twenty years ago Pastor Holland invited Pastor Boone as his Associate Pastor. He and his wife, Kim, have truly found a home at New Day and is loved by all that know them. His powerful sermons and love for New Day are evident in all that he accomplishes in his daily works with the church. Pastor Boone is convinced that the words of Ester 4:14, “You have come to the Kingdom for such a time as this”, appropriately describes the Mission of New Day Christian Centre, where the standard is always speaking the truth in love.